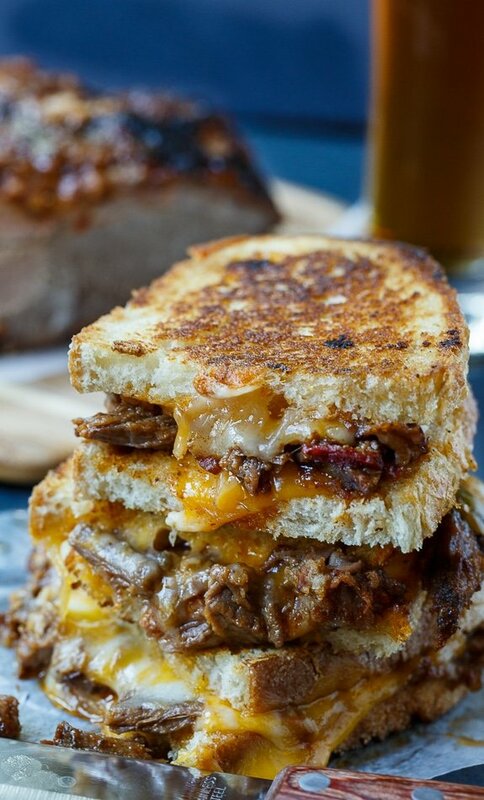 A buttery, crispy grilled cheese sandwich with two kinds of cheese and leftover brisket makes one heck of a lunch. 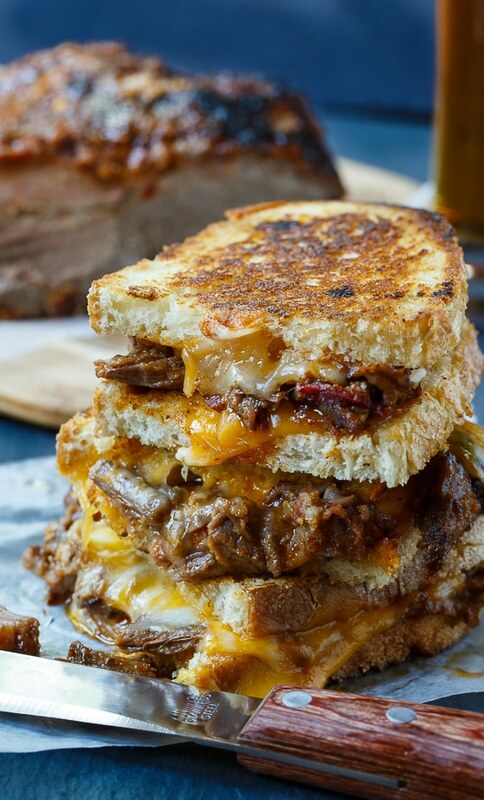 This Brisket Grilled Cheese is packed with flavor. Last week, I shared a recipe for Oven-Barbecued Beef Brisket that makes one of the best briskets I have ever eaten. 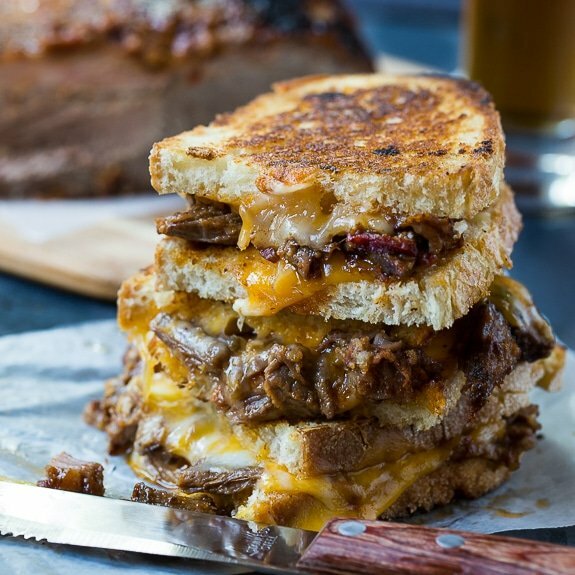 When I make a brisket for my family, we always have leftovers and this Brisket Grilled Cheese is one of my favorite ways to use those leftovers. With gooey melted cheddar and Monterey Jack cheese and pieces of tender slow-cooked brisket, this is a delicious, drool-worthy sandwich. It’s a stick-to-your-ribs kind of meal. I love it because you don’t need much brisket, so it’s a good meal to make when you just have a small amount of leftovers. A little brisket goes a long way in these sandwiches. In terms of comfort food, grilled cheese is right up there with mac and cheese as the ultimate comfort food. And adding brisket takes it to a whole new level. Have a few slices of brisket leftover? 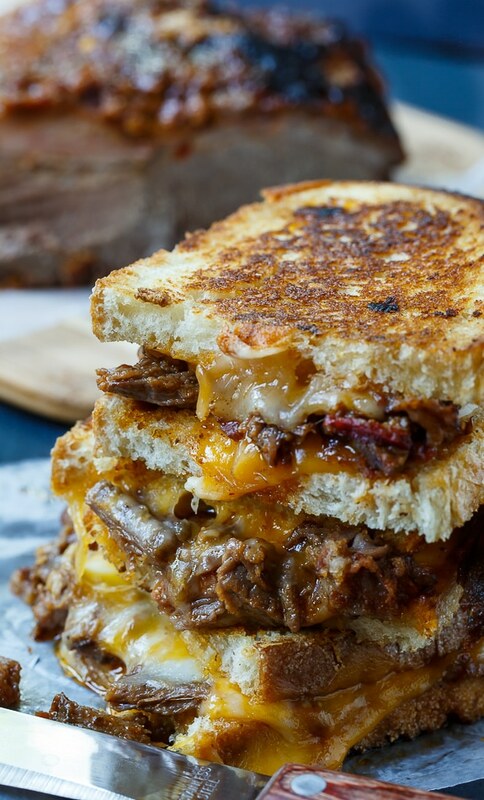 Turn them into a gooey Brisket Grilled Cheese. This sandwich is comfort food at its best! Spread about 1/2 tablespoon on one side of each piece of bread. To make a sandwich, place a piece of bread buttered-side down. This entry was posted in Sandwiches and Wraps and tagged beef, brisket, grilled cheese. Bookmark the permalink. Making this using pulled pork from last night. And it turned out amazing! This looks delicious! I’m thinking of adding avocado and onion to mine! This looks awesome and I plan to make it tonight but I’m wondering if it would be OK to add sautéed mushrooms. Mushrooms would be great in it! Christin, this looks so delicious! Brisket is one of our favorite cuts of meat. I love how it just gets better the longer it sits in the fridge! 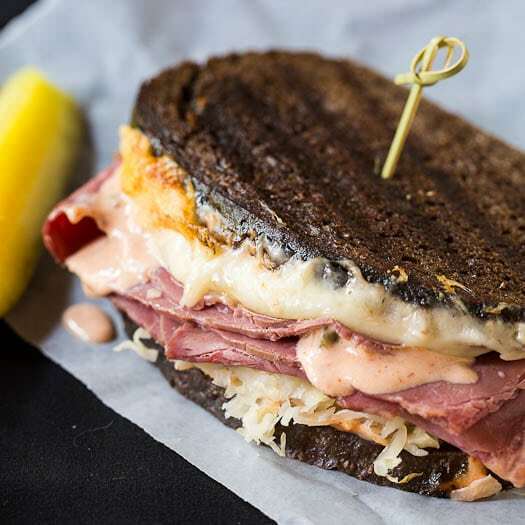 This sandwich is definitely going on my “to make” list! 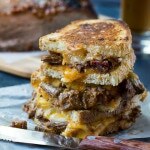 Love the idea of using brisket in grilled cheese sandwich.. looks delicious!! I love this — this is totally our kind of sandwich! Definitely have to check out that brisket recipe! This is a great way to perk up grilled cheese. These photos are mouth-watering! I was already hungry for dinner and now I am officially starving! This looks amazing! OMGosh, my mouth is totally watering at these. Christin, these are out of this world. What a great idea for a grilled cheese! This sandwich looks incredible! I love Oven-Barbecued Beef Brisket!!! and making this grilled cheese is brilliant! this looks amazing!!! 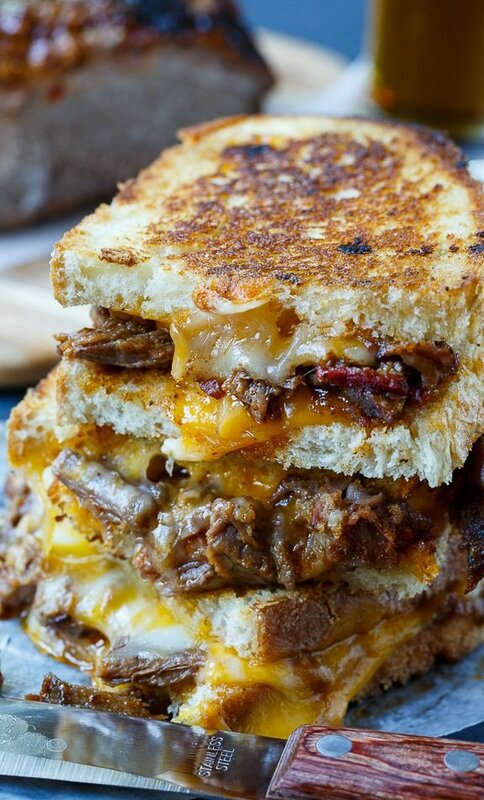 I’ve never thought to use leftover brisket in grilled cheese! What a great idea, Christin! This looks like the ultimate sandwich!